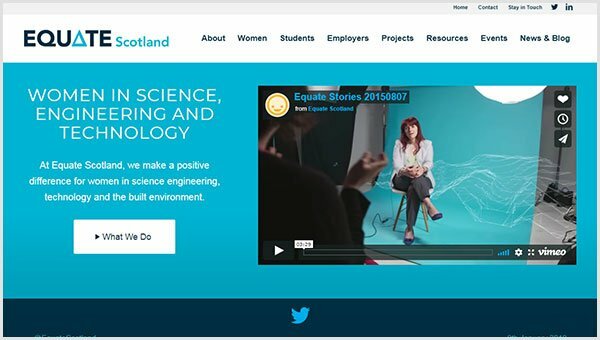 Equate Scotland provide support and guidance for women in STEM professions. Sara asked us to provide an online platform that was easy for visitors to access information and for administrators to update. In addition, Twitter and EventBrite have been integrated into the website, keeping all digital channels under one roof!